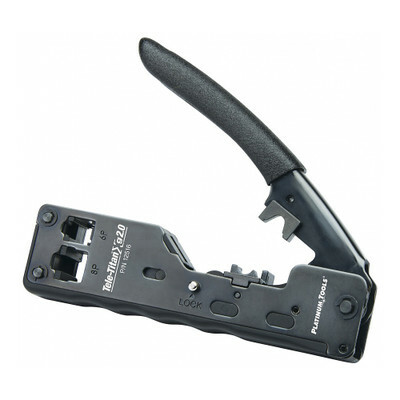 The Platinum Tools Tele-Titan Xg 2.0 Crimp Tool is designed to make quick work of terminating all RJ11/12/45 shielded data cables, it will terminate non-shielded cables as well. After terminating with you RJ45 end on the front switch to the back end to crimp the external ground for shielded cables. Platinum Tools Tele-Titan Xg 2.0 Crimp Tool. Clamshell.